China (pictured), Russia and India continue to build new nuclear. LONDON - By Kirill Komarov, Chairman, World Nuclear Association. As Europe and the wider world begins to wake up to the need to cut emissions, Dr Kirill Komarov argues that tackling climate change will see the use of nuclear energy grow in the coming years, not as a competitor to renewables but as a competitor to coal. The nuclear industry keeps making headlines and spurring debates on energy policy. With each new build project, the detractors of nuclear power crowd the bandwagon to portray renewables as an easy and cheap alternative to ‘increasingly costly’ nuclear: if solar and wind are virtually free why bother splitting atoms? Yet, paradoxically as it may seem, if we are serious about policy response to climate change, nuclear energy is set to grow exponentially in the coming decade or two. Growth has already started to pick up with about 3.1 GW new capacity added in the first half of 2018 in Russia and China while, at the very least, 4GW more to be completed by the end of the year – more than doubling the capacity additions in 2017. In 2019 new connections to the grid would exceed 10GW by a significant margin. If nuclear is in decline, why then do China, India, Russia and other countries keep building nuclear power plants? To begin with, the issue of cost, argued by those opposed to nuclear, is in fact largely a bogus one, which does not make a fully rounded like for like comparison. It is true that the latest generation reactors, especially those under construction in the US and Western Europe, have encountered significant construction delays and cost overruns. But the main, and often the only, reason for that is the ‘first-of-a-kind’ nature of those projects. If you build something for the first time, be it nuclear, wind or solar, it is expensive. Experience shows that with series build, standardised construction economies of scale and the learning curve from multiple projects, costs come down by around one-third; and this is exactly what is already happening in some parts of the world. Furthermore, those first-of-a-kind projects were forced to be financed 100% privately and investors had to bear all political risks. It sent the cost of capital soaring, increasing at one stroke the final electricity price by about one third. While, according to the International Energy Agency, at 3% cost of capital rate, nuclear is the cheapest source of energy: on average 1% increase adds about US$6-7 per MWh to the final price. When it comes to solar and wind, the truth, inconvenient for those cherishing the fantasy of a world relying 100% on renewables, is that the ‘plummeting prices’ (which, by the way, haven’t changed much over the last three years, reaching a plateau) do not factor in so-called system and balancing costs associated with the need to smooth the intermittency of renewables. Put simply, the fact the sun doesn’t shine at night and wind doesn’t blow all the time means wind and solar generation needs to be backed up. According to a study by the Potsdam Institute for Climate Impact Research, integration of intermittent renewables into the grid is estimated in some cases to be as expensive as power generation itself. Delivering the highest possible renewable content means customers’ bills will have to cover: renewable generation costs, energy storage solutions, major grid updates and interconnections investment, as well as gas or coal peaking power plants or ‘peakers’, which work only from time to time when needed to back up wind and solar. The expected cost for kWh for peakers, according to investment bank Lazard is about twice that of conventional power plants due to much lower capacity factors. Despite exceptionally low fossil fuel prices, peaking natural gas generation had an eye-watering cost of $156-210 per MWh in 2017 while electricity storage, replacing ‘peakers’, would imply an extra cost of $186-413 per MWh. Burning fossil fuels is cheaper but comes with a great deal of environmental concern and extensive use of coal would make decarbonisation targets all but unattainable. So, contrary to some claims, nuclear does not compete with renewables. Moreover, a recent study by the MIT Energy Initiative showed, most convincingly, that renewables and load following advanced nuclear are complementary. Nuclear competes with coal. Phasing out coal is crucial to fighting climate change. Putting off decisions to build new nuclear capacities while increasing the share of intermittent renewables makes coal indispensable and extends its life. Scientists at the Brattle group, a consultancy, argue that “since CO2 emissions persist for many years in the atmosphere, near-term emission reductions are more helpful for climate protection than later ones”. The longer we hesitate with new nuclear build the more difficult it becomes to save the Earth. Nuclear power accounta for about one-tenth of global electricity production, but as much as one-third of generation from low-carbon sources. 1GWe of installed nuclear capacity prevents emissions of 4-7 million metric tons of CO2 emissions per year, depending on the region. 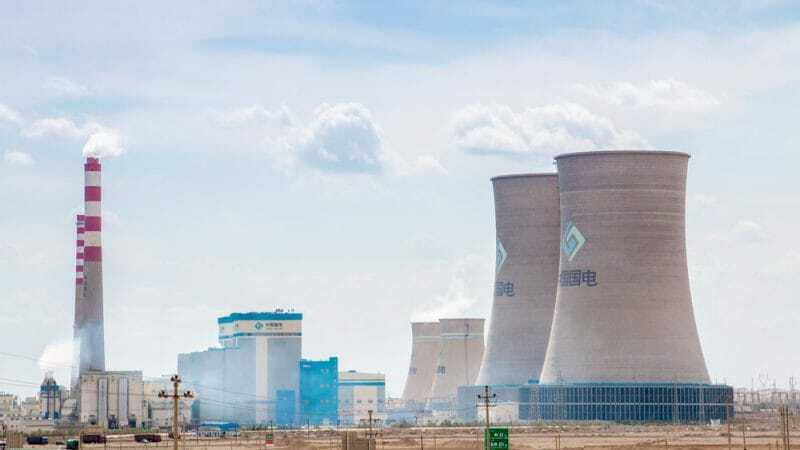 The International Energy Agency (IEA) estimates that in order to limit the average global temperature increase to 2°C and still meet global power demand, we need to connect to the grid at least 20GW of new nuclear energy each year. The World Nuclear Association (WNA) sets the target even higher with the total of 1,000 GWe by 2050, or about 10 GWe per year before 2020; 25 GWe per year from 2021 to 2025; and on average 33 GWe from 2026 to 2050. Regulatory and political challenges in the West have made life for nuclear businesses in the US and Europe very difficult, driving many of them to the edge of insolvency; but in the rest of the world nuclear energy is thriving. Nuclear vendors and utilities post healthy profits and invest heavily in innovation and expansion. The BRICS countries are leading the way, taking over the initiative in the global climate agenda. From their perspective, it’s the opposite of decline. Dr Kirill Komarov is first deputy CEO of Russian state nuclear energy operator Rosatom and chairman of the World Nuclear Association.